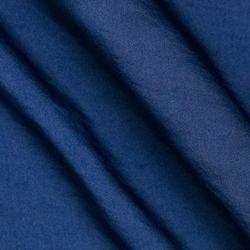 Leading Manufacturer of polyester crepe fabric, wool felt motifs and felt fabric from Panipat. Polyester Crepe Fabric is idle for making seats for offices, theatres, auditoriums as well as for home purpose. The material is heavy duty and is available in various colour options. Crepe fabric has the tendency of matte finish,along with property of wrinkle due to the nature of weaving. The fabric is also pill and shrink free which make the fabric idle for various uses. 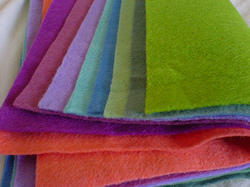 Felt is a non-woven cloth that is produced by matting, condensing and pressing woolen fibers. 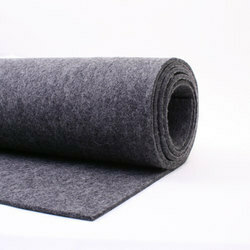 While some types of felt are very soft, some are tough enough to form construction materials. 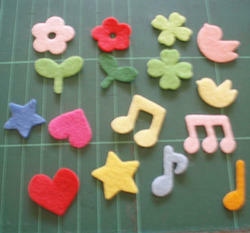 Felt can be of any colour, and made into any shape or size. Many cultures have legends as to the origins of felt making. Sumerian legend claims that the secret of felt making was discovered by Urnamman of Lagash.